Work for AppNexus Publisher SSP? Learning about AppNexus Publisher SSP? "Pixel Creation is simple yet effective "
The main use that I get out of APN is pixel creation and monitoring. I find the process of creating a pixel extremely smooth and simple. All pixels are easy to find with the search function and having the columns for "loads last 12 hours", "last load" and "created" make tracking the pixels extremely simple. The one issue I have run into many times is finding advertisers with short names or that are created with abbreviations. I find sometimes the search suggestions will minimize and I cannot select the correct advertiser. The biggest benefit I find is utilizing the information captured by the pixels to better understand who is interacting with each advertiser. Helping advertisers understand who is interacting with the brand helps them make better business decisions. "A Useful SSP that does just enough"
Pixel creation in AppNexus is extremely useful and versatile. 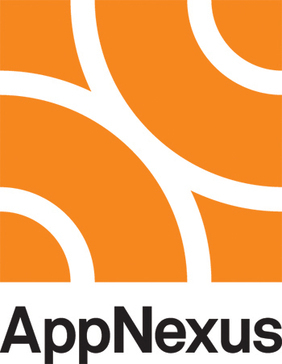 We would mainly use the Appnexus platform to utilize the pixel suite, which managed over 1000 pixels for our company. It was incredible easy to search for the pixel in the suite and the pixels could then be applied for a number of different uses. As an SSP, the lack of transparency in the buying process was rather frustrating. I found that compared to other SSPs the pricing and bidding process was a bit confusing in AppNexus. It's also a complicated platform for utilizing PMPs in other DSPs. I've had a number of campaigns run into issues do to the setup process in AppNexus. Useful platform but the lack of transparency makes other options more viable. We buy inventory from AppNexus' SSP as well as creating pixels within their platform. "Outperforms all other platforms I've used :)"
I love the three levels built into the campaign. Compared to other SSPs, this provides a level of security in spend and impression counts, which provides a sense of safety and peace of mind when leaving the campaign to run. I dislike the fact that a few small changes/additions could be made to improve overall efficiency. Examples include allowing us to edit LI cap spends from the LI page, allowing a search under Inventory Targeting lists. We have found that video has provided a higher VCR in APN than some other DSPs, even though the price could be higher. So overall meeting our client's goals more easily. "Good platform for publishers - but could improve in transparency"
It offers great tools for publishers to access additional budgets via programmatic. You can blacklist, set floorprices, and get reportings as you wish. It could offer more transparency in who is buying and for which price. Obviously, they want to get their share, but more insights into bid price and paid price as well as lost opportunities would be great. Check out other vendors as well and see if it is the right fit for you - both now and in the future. Access additional budgets from advertisers via programmatic while keeping the controls/rules we want to set. "Making deals all the way!" I really like the way that the app makes it easy to make deals and to manage inventory. I would rather have the design of the app changed in a way that is easier to understand. When you know how to use it, it's really improving the way you're managing inventory. The design can be improved so it would be even easier to be used. We do realise benefits in terms of deals. Easy to use, good connection with other DSP. Good targetings as dell. Problems with GDPR and Google, big impact on revenues. Unfilled inventory, we are doing big revenues with programátic. Also, closing deals with partners. We have been able to find the appropriate advertisers and eliminate quite a few we’ve found to be unfavorable. A handful of our deals weren’t seen before our cutoff; however, in fairness, the error was likely on our side. Worth the go! Especially if currently not reaching all mobile platforms. We can now target both android and iOS formats. iOS has proven to make a larger impact than previous estimates. "ı used it for trusted market place for GroupM and it was very effective for the biddeable trading." Already being a well-known name brand helped, especially in the programmatic marketplace. Using the AppNexus plaform, allows advanced controls and ability to manage data and your partners across all desktop, mobile, native, and video. Not much to mention - found it very user friendly and implementation team helped. The UI is tricky to navigate, take some time to get used to. nothing, dosent differentiate itself from any other DSP from a media-buying standpoint. "Great dynamics for buyers and sellers"
* We monitor all AppNexus Publisher SSP reviews to prevent fraudulent reviews and keep review quality high. We do not post reviews by company employees or direct competitors. Validated reviews require the user to submit a screenshot of the product containing their user ID, in order to verify a user is an actual user of the product. Hi there! Are you looking to implement a solution like AppNexus Publisher SSP?